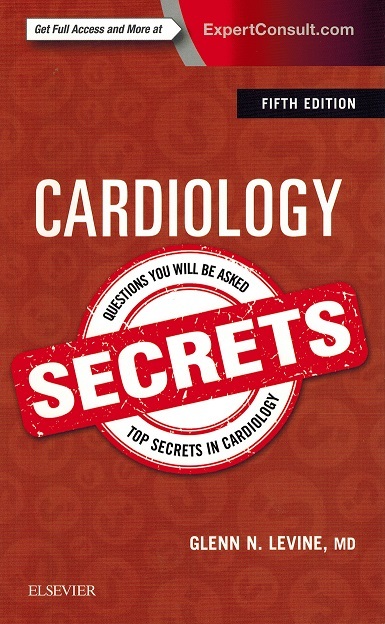 Top Secrets in Cardiology is loaded with everything you have ever wanted to know about cardiology. This course is based on the fifth edition of the book Cardiology Secrets, written in the fast-moving and easy to follow question and answer format and packed with all new chapters. Top clinicians in the field provide an interactive and engaging resource for the evaluation and management of patients with cardiovascular disease. This course contains chapters on diagnostic examinations and procedures, cardiomyopathies, arrhythmias, valvular heart disease, peripheral vascular and cerebrovascular disease, venous thromboembolic disease, and primary and secondary prevention, as well as cardiovascular disease in specific populations. This course also discusses chest pains, coronary artery disease, and acute coronary syndromes. This course is based on the 5th Edition textbook, Cardiology Secrets by Glenn N. Levine MD © 2018. This course has a corresponding posttest containing 120 multiple choice and true/false questions.